Valentin Magro 3D cube-link necklace. Ample length for multiple ways to wear. Polished 18-karat yellow gold hardware. Approx. 44"L. Toggle clasp. Made in USA. 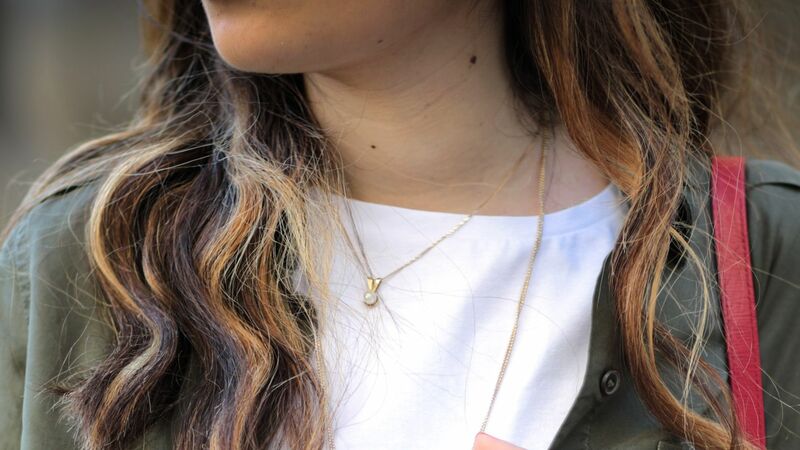 Cool and fresh, the Link 18k Gold Necklace features two color gold and an adjustable chain for wear with different lengths. Roberto Coin oval-link necklace. Polished 18-karat rose gold links. Signature hidden synthetic ruby. Lobster clasp. Approx. 20"L.
From the Glamazon Collection. 18-karat yellow gold. Handcrafted links vary in shape and size. Approx. 33"L.
18k Gold Curb-Link Pendant Necklace, 18"
Verdura necklace in 18-karat yellow gold. Curb-link pendant on trace chain. Approx. 18"L. Lobster clasp. Made in USA.